Wagner – A Wall of Lights – Page 19 – Giant Space Lizard! 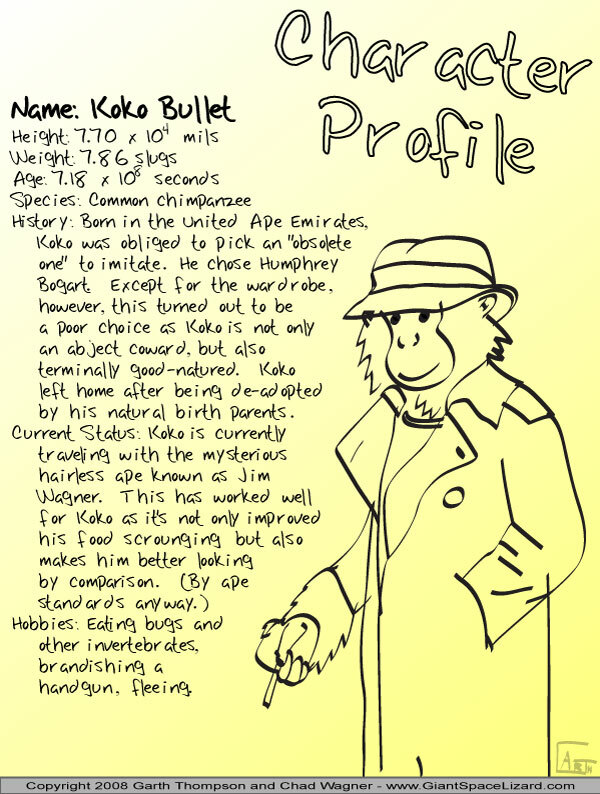 History: Born in the United Ape Emirates, Koko was obliged to pick an “obsolete one” to imitate . He chose Humphrey Bogart. Except for the wardrobe , however, this turned out to be a poor choice as Koko is not only an abject coward, but also terminally good-natured. Koko left home after being de-adopted by his natural birth parents.